With Trump rising in the polls and a lack of funds being raised the left is looking at their numbers dropping, they are scrambling to try to stop their downward fall as the midterm election is coming up. In other news the left is attacking Trump and the GOP for what is going on in Gaza, claiming somehow the US is culpable in terrorist actions. We have all heard that the left was going to win in the election this year by a landslide, they were leading coming into the year by 16 points in the polls, they knew that they are taking back both houses, thus being able then to proceed with impeaching Trump would be able to be done. But then Trump started winning, winning some more, and winning a lot, the left is beside themselves now, their lead has been cut by half since the first of the year and continues to plummet. So what do they do? First, they try to play the victim, they claim now that they never wanted to talk about Russia, collusion, and the Stormy affair, they were forced by the GOP to do so, they only wanted to talk about what they wanted to do to get this nation up and going. What is more, with all the attention sidetracking the left, they have failed miserably in their fundraising efforts, turns out they have been running broke since 2017, now with midterm elections coming up, anemic fundraising success, they have to how to resort to any type of free publicity they can get, something the leftist press is more than happy to aid them in. The whole problem stems from them pushing the collusion story, a story that is now running out of steam due to the total lack of any evidence, a Mueller investigation under attacks not by the GOP but by federal judges who are questioning it’s overstepping its legal bounds. The Stormy story, even though many seems fixated on it in the press, the people who voted for Trump could care less, and the independents who have no voted show they could care less, all they know is our economy is starting to boom. What is even more damaging is the GOP is raising record numbers in fundraising, they are set to be flush coming into the mid-term elections to get their message out, with the economy booming, unemployment at or approaching record numbers, they only have to point at the facts and push out a wonderful story. What are the Democrats offering? To raise taxes again, that is going to reach out to the masses. Only twice in history as the party that controlled both houses and the White House ever held onto them after the mid-term elections, if the left continues down this path, Trump’s numbers continue to rise as the economy gathers steam, if he can move the North Koreans at all, even if a deal isn’t done, but relationships are mended, we could see the third time in history this has been done, the left may find themselves with minorities in both houses like we saw in the reverse during Obama’s first term, the only difference this time is if the GOP has a super-majority in both houses, the left will have little left they can do to obstruct Trump from putting forth his agenda with the GOP. In another story, we have seen the left putting out papers bemoaning while the embassy was opening in Jerusalem yesterday dozens of Arabs in Gaza were killed, but they mysteriously leave out some rather important facts. As we have seen, Hamas has a long history of not only slaughtering Jews but their own people as well. During the riots yesterday they had people stationed with the crowds, were screaming at them to rush the fence because the IDF forces had fled, when the truth was that more troops were arriving to fortify the force. In the end, they cared not about their people, they knew that dead people give better propaganda then live ones do. Hamas is in dire straits, facing the most significant pressure since seizing control of Gaza over a decade ago. 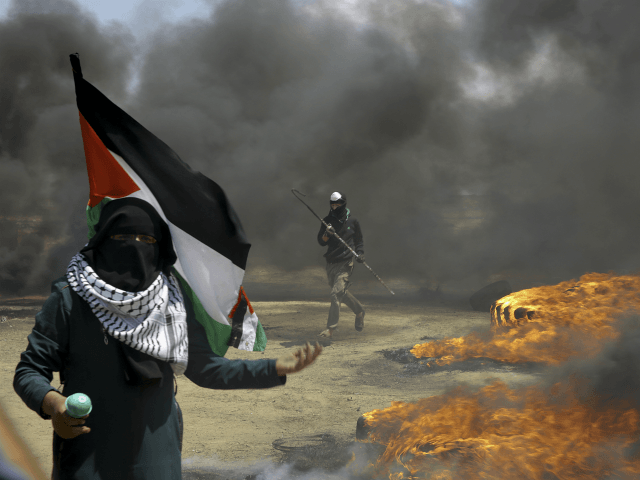 The terror organization sees the “March of Return” riots as a way to buy time. In a move that should not surprise, Turkey recalled their ambassadors from the US and Israel for consultations in response to the US move to Jerusalem. I always find them rather hypocritical in this, Turkey who tries to dictate to Europe who they can take in, is now threatening Israel and pushing the US to try to bend to their tyrannical leaders will. Thankfully neither of the leadership in both nations have any intent on giving in to this. 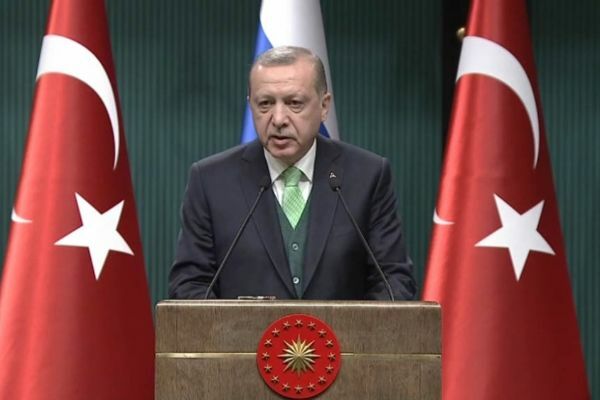 To further escalate the issue Turkey this morning expelled the Israeli ambassador, not that I find that of any concern, maybe they should concentrate on their own nation rather than others. The relationship with Turkey has been on a downhill slide, from threats to the US if we don’t give up an American Citizen they demand while showing no crimes, to kidnapping our own citizens and threatening they will not release them until we give our citizen they demand to them. Things have even gotten worse when Congress in a response to this put forth a bill halting all high tech sales, including the F-35 to Turkey, for such behavior is not one would expect as a friend, all we can hope for is Congress has the courage to go through with this. Turkey’s response was to threaten the US with more retaliation.